The George-Louisville's destination for gracious living-unmatched by any other in the Louisville Metroplex! Located at the corner of US Highway 42 and Seminary Drive and minutes from I-264 and I-265, The George provides easy access to Downtown, Prospect, shopping, medical facilities, restaurants and entertainment. 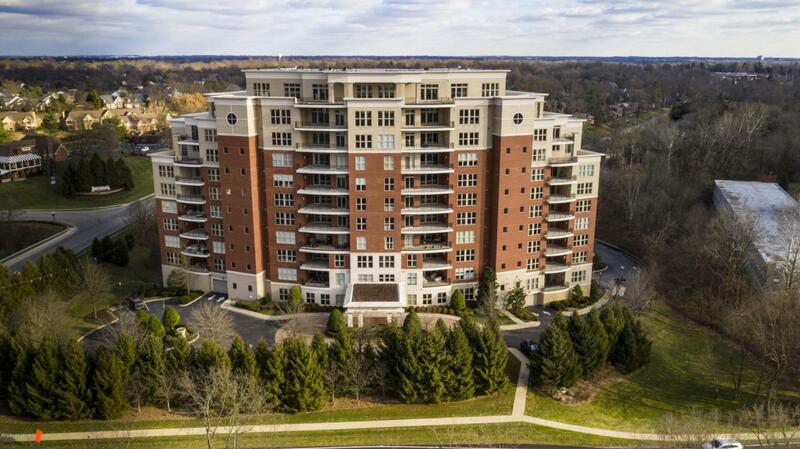 Gorgeous views, fabulous amenities including 4.5 acres of lush, landscaped grounds, private terraces, elevators, wine cellar, swimming pool, fitness center, underground garages and more-everything that you need to live the GOOD LIFE! Meet with the on-site designer or work with your own to MAKE THIS UNIT YOURS! The price is for the unfinished unit. Floor plans available upon request.